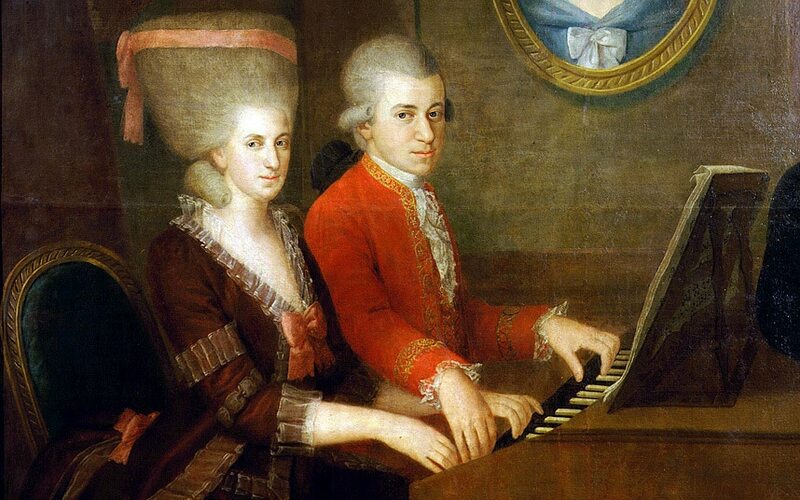 Wolfgang Amadeus Mozart's older sister, which, unlike her famous brother, actually made it to 78; was she a musician at all? Did she compose anything? It's interesting to think about (Fanny Mendelssohn anyone? ), not to mention female composers were less common in past time (or am I wrong?). "Nannerl" Mozart was a fine musician. There is evidence that she composed some music, though none survives. Her musical ambitions (if any) may have been suppressed so as not to interfere with father Leopold's promotion of the very young Wolfgang. See the Wiki entry. Last edited by KenOC; Apr-16-2019 at 23:38. Could you supply some more information about her career as a musician? If you read the Wiki entry, you'll know more than I do. I see also that there are a couple of books about her. She seems to have had big hair.